HMD Global is gearing up to announce a range of Nokia smartphones at Mobile World Congress 2018. Alongside the Nokia 9, Nokia 1, Nokia 7 Plus and Nokia 3310 4G version, the Finnish company is reportedly planning to also announce its plans to launch a Nokia phone with penta lens later this year. In simple words, HMD Global is said to have plans for a Nokia Android phone with five cameras at the back. Not much is known about the penta lens Nokia mobile yet. The information comes from a source close to Foxconn’s R&D business, which makes it a reliable one, as HMD Global is working closely with Foxconn to launch new Nokia smartphones. All that is known about the upcoming Nokia phone is that the smartphone will come with five cameras at the back. Reports are that the penta-lens camera will feature a circular housing with seven holes in the middle. As per the leaked information, out of the seven holes, five will accommodate the camera lenses, while the rest two of them will house LED flash. The device, as reports suggest, will look very much like the Nokia OZO VR camera. As far as the reports are concerned, HMD Global has already designed the smartphone and is expected to start testing it very soon. The device (name still unknown) is expected to be powered by Snapdragon 845 processor. 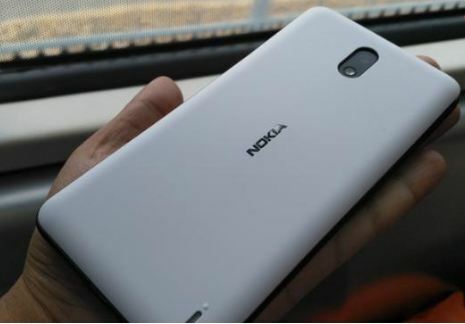 No other details about the upcoming Nokia smartphone are known as of now. However, a source close to Foxconn has revealed that the smartphone may be unveiled by the end of 2018, only if Foxconn finds a solution to mass produce it. Meanwhile, Huawei is also planning to launch its P-20 flagship phone which will reportedly feature five cameras. As far as the reports are concerned, Huawei P-20 may come with a triple-lens camera setup on the rear, while feature two cameras in the front. Huawei is expected to unveil the flagship phone at the Mobile World Congress in Barcelona in late February.